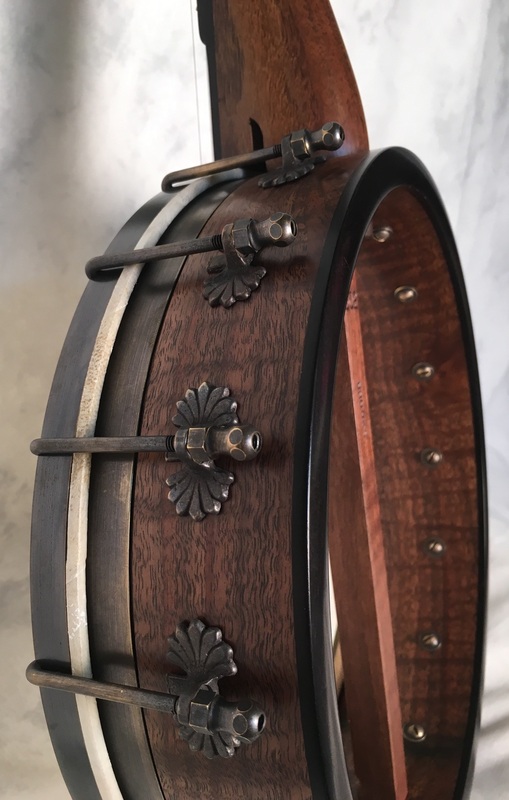 This is an 11" 16 shoe Spartan model, with a walnut rim and Bacon tone ring. The rim has butterfly shoes and antiqued hardware. 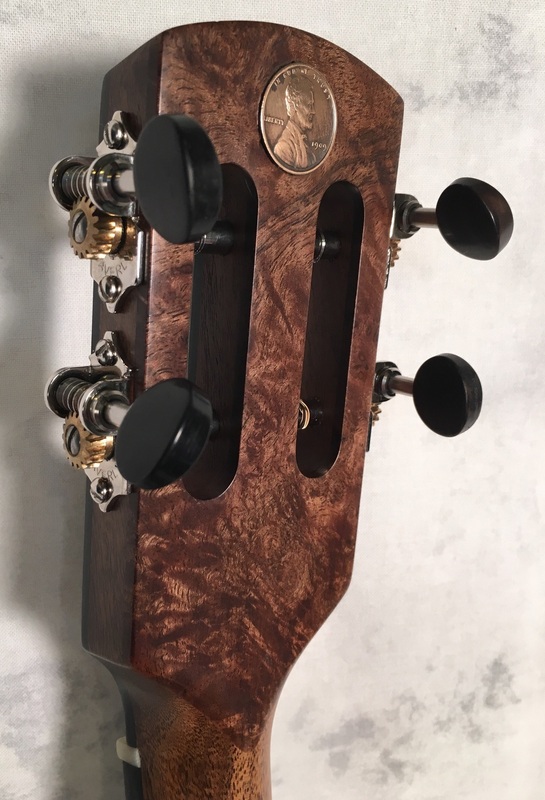 The neck is walnut with a slot headstock. Ebony overlay on the front of the peghead and a burl walnut backing. This banjo is headed to Pocatello, ID.